Follow Queer Yukon on Facebook! Join Queer Yukon for an evening of bowling at Mad Trappers! You bring a bit of cash for shoe rental and ball tossing, and we'll fill up the lanes. This is an all ages event. Afterwards, the 19+ crowd can skedaddle over to a local pub. Queer Yukon Community Clean Up! 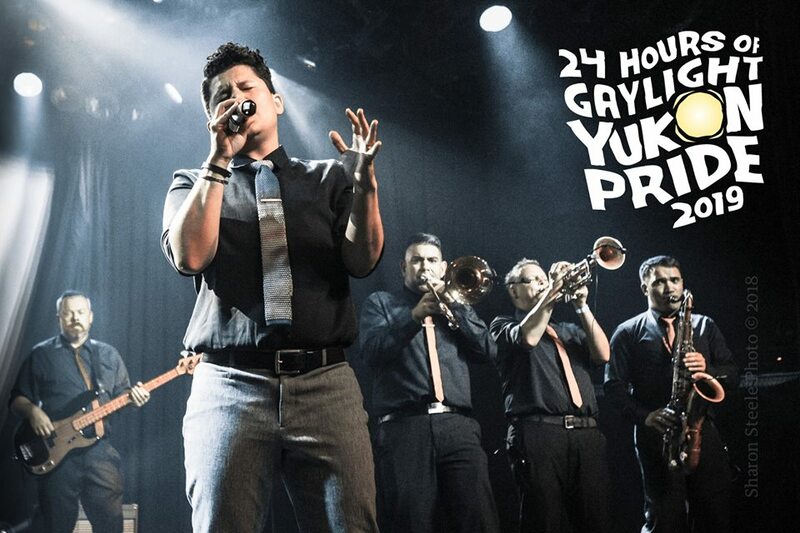 YUKON PRIDE 2019: 24+ HOURS OF GAYLIGHT! 2019 is a big year in Queerville. It marks the 50th anniversary of the decriminalization of homosexuality in Canada, and 50 years since the Stonewall Inn uprising in Greenwich Village, NYC, sparking the modern LGBTQ rights movement in the US. To celebrate this, and our 7th year hosting Yukon Pride, we're thrilled to welcome back Queer As Funk to the Kwanlin Dün Cultural Centre on Saturday, June 8th! We're busy working on details for the 24 Hours of Gaylight Friday and Sunday events. It's so good. Follow the event, check back over the spring, and watch our Facebook + Instagram for updates. About QAF: Vancouver’s Queer as Funk is renowned for its tight rhythm section, hot horns, and soulful vocals, bringing together the city’s best musicians in a dynamic, high-energy dance band. There's nothing this tight-knit band loves more than performing together, and that love is palpable to audiences everywhere. With repertoire ranging from beloved funk, soul and Motown classics of the 60s and 70s (Aretha Franklin, Otis Redding, Stevie Wonder, Michael Jackson) to contemporary pop favourites (Amy Winehouse, Bruno Mars, Demi Levato), Queer as Funk is also the sharpest-dressed suit-and-tie band in town. Saturday night at KDCC: KDCC is a wheelchair-accessible venue. All-gender washrooms. Want to see more events here? Great! Organize one and send the details. We'll post here and on our Facebook page.